On November 30, 2017, YWCA Southeastern Massachusetts held the 2017 Annual Meeting at the Waypoint Event Center in New Bedford MA. Outgoing YWCA Board President Lena Pires gave her emotional testimony about her journey with the YWCA Board for the past few years. We welcomed incoming Board President Dr. Juli Parker. 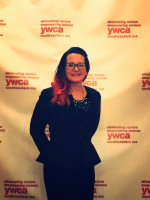 It was a bittersweet event, as the YWCA said goodbye to three other long-term board members, Ashley Bendiksen, Elizabeth Leiwant, and Maria Pinarreta. YWCA Executive Director Gail Fortes thanked all of her board and staff for their continued dedication and service to the YWCA mission. Program participants from YWkids, Leading Ladies, Health and Wellness Program, and The Widowed Person’s Program, gave a touching testimonial about their experience at the YWCA. 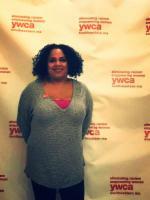 Everyone who attended was reminded about how important the YWCA is to the community. 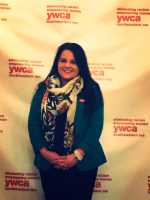 The YWCA would like to give a special thank you to our outgoing Board President Lena Pires and outgoing Treasurer Maria Pinarreta. Thank you both for your long standing commitment and dedication to the YWCA. We will miss you both! We would also like to give a special thank you to outgoing Board Clerk Ashley Bendiksen and YWCA Board Member Elizabeth Leiwant. 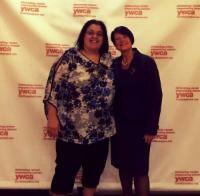 Thank you for your service to the YWCA! Congratulations to our Board Members re-elected for another 3 year term: Kristina da Fonseca and Jane Gonsalves. We are excited to welcome our new Board President Dr. Juli Parker! Juli is the UMass Dartmouth Director of the Center for Women, Gender. and sexuality. Welcome to our new Board Members: Kristy Francis, Rita Braga, Julia Santos, and Sharon Jones, MSN. Kristy Francis is an Admissions Counselor at Fisher College. She will be completing her MBA in Strategic Leadership from Fisher College in December 2017. 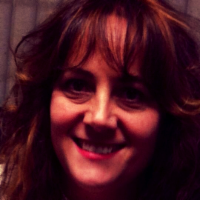 Rita Braga is a Branch Manager for Bristol County Savings Bank. She volunteers at various organizations in the community. Julia Santos is the Business Development Manager for Tufts Health Plan. She is a current Board Member for the Cape Verdean American Community Development Corporation. 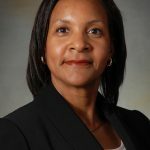 Sharon Jones, MSN, the President/CEO of Home Health and Hospice Agency at SouthCoast Health. She received the YWCA Cleveland, OH, Women of Excellence Award in 1993. She also served as President of the Board of YWCA Cleveland.